These are some of our favorite books about bird houses. These experts cover subjects like, how to build your own bird home, ways to attract and support bird families in your backyard habitat, guides to help enrich your experience while monitoring your bird houses and the best methods for maintaining a healthy bird house or nest box. You’ll find some of the best advice available to help you get the most joy from your backyard birding experience. 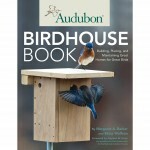 Copiously illustrated with line drawings and full-color photographs, this large format paperback book contains the essential information that backyard nature enthusiasts want and need — to build and seek out birdhouses, including the right birdhouse for many popular species . 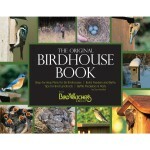 The original birdhouse book is for the birds and everyone who loves them. Novice and experienced woodworkers will enjoy the easy to understand plans for 26 birdhouses, feeders, and baffles. 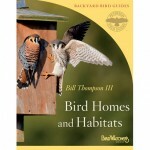 Each chapter describes species-specific houses, boxes, and shelves, but also offers information about that particular bird’s appearance, range, nesting habits, and unusual characteristics. A special chapter is devoted to methods of discouraging predators and aggressive birds such as starlings and house sparrows. 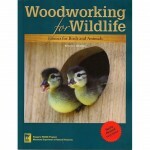 Woodworking for Wildlife is the perfect resource for any handy person who enjoys attracting wildlife to his or her backyard. With all the latest information on how to attract everything from bluebirds, chickadees, purple martins, and wood ducks to bumblebees, toads, owls, and woodpeckers, the book features thirty designs for nest boxes and nest platforms that will accommodate forty-six species of wildlife. It provides easy-to-follow diagrams for cutting out and assembling the nest boxes, accompanied by over three hundred beautiful color photographs. Woodworking for Wildlife is a particularly good reference for backyard wildlife enthusiasts, conservationists, youth group leaders, teachers, woodworking instructors, and parents and grandparents who are looking for outdoor projects to do with children. 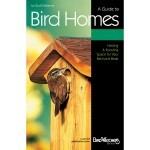 A guide to bird homes booklet by author Scott Shalaway reveals lessons learned from years of backyard study and experience. Included in this 32-page guide is easily understandable information, like species profiles of the most prolific cavity nesters, answers to most often-asked questions and a nest box specifications chart. Color photographs, and useful tips.